Specifications & Tendering - Services - Brown & Beattie Ltd.
Brown & Beattie Ltd. carefully prepares technical engineering specifications which are customized to suit individual restoration projects. 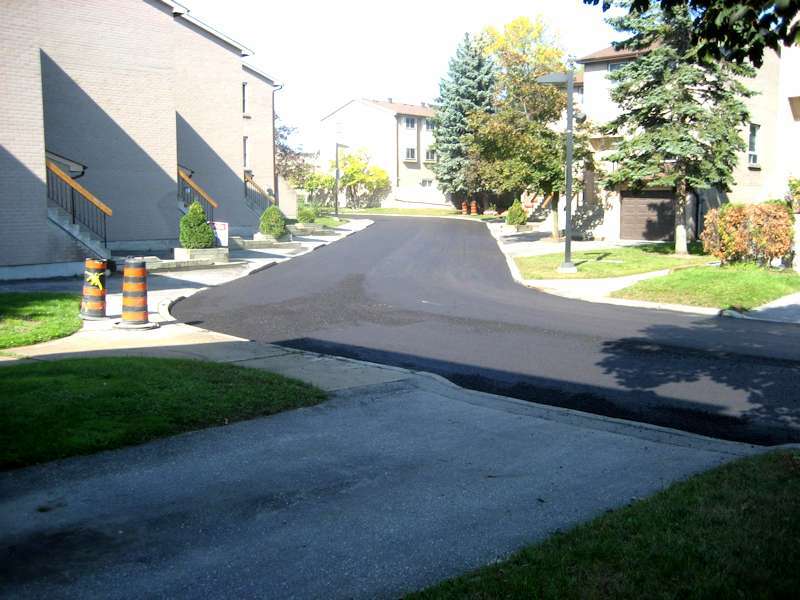 Our specifications have developed from over decades of experience in various projects and are formatted to suit Canadian Construction Documents Committee (CCDC) contracts. Once specifications and drawings are completed, they will be suitable for Building Permit Application and Tendering to contractors. Brown & Beattie Ltd. will conduct Site Meetings with the qualified contractors selected to bid the project. Once the tenders have been received, we will analyze the bids and provide you with our recommendation for award of a contract. Upon selection of the successful contractor, Brown & Beattie Ltd. can prepare contract documents which will be based on the technical specifications and drawings. Brown & Beattie Ltd. can provide specifications & tendering for your project. Carefully prepared documents help property owners best identify how to restore a structure. 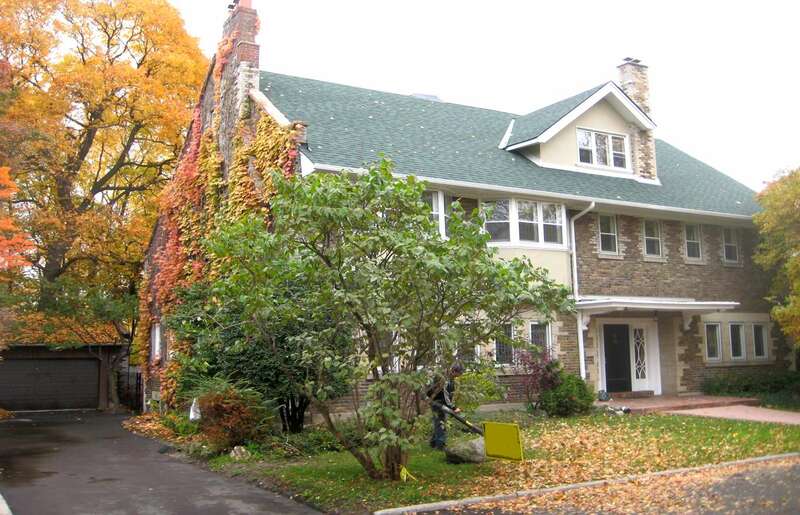 The replacement of the existing deteriorated 3-tab shingles with new architectural shingles on this Rosedale area Toronto home, provides excellent long-term performance while maintaining the stately aesthetics of the neighbourhood at a reasonable cost. Work also included complete replacement of the sheathing, improved attic ventialtion and new aluminum soffits, fascia and eavestroughs. Brown and Beattie Ltd. provided engineering services related to specifications, tendering, field review and contract administration. 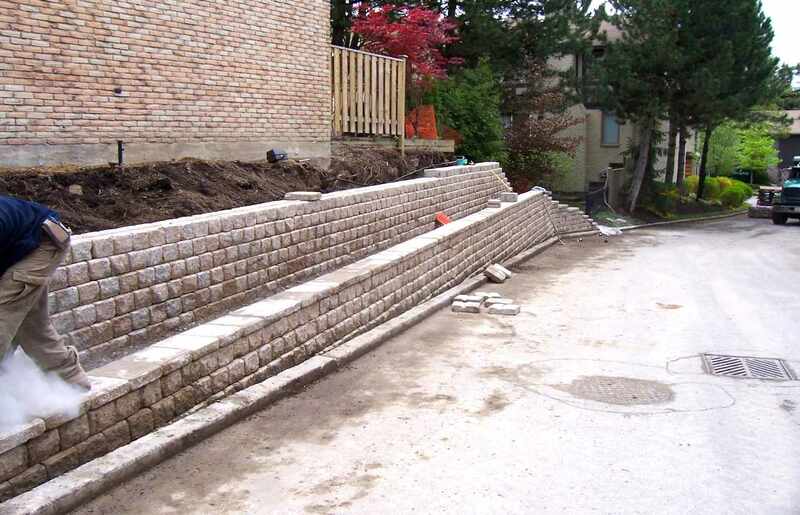 This tiered retaining wall replacement at a Thornhill townhome complex replaced an original wood retaining wall, updating it with this concrete segmental retaining wall. Brown & Beattie Ltd. prepared the specifications and completed the tendering along with providing general field review services and contract administration.